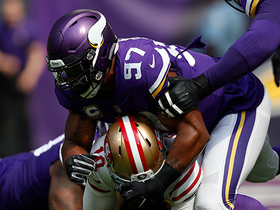 Analysis: Richardson was solid for the Vikings in 2018, recording 49 tackles (26 solo) and 4.5 sacks in 16 games. The 28-year-old should assume a starting role on a defensive line that includes DT Larry Ogunjobi and defensive ends Myles Garrett and Olivier Vernon. Analysis: Richardson repaired his value in one season with Minnesota, piling up 49 tackles (26 solo), 16 quarterback hits and 4.5 sacks as a 16-game starter. 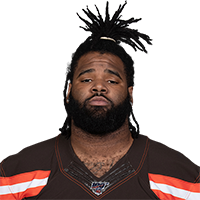 He figures to operate as a starting defensive tackle in Cleveland's 4-3 defense, joining a line that includes DT Larry Ogunjobi and defensive ends Myles Garrett and Olivier Vernon. The Browns should have a formidable pass rush for the first time in recent memory. 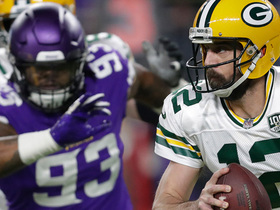 Analysis: Richardson signed a one-year, $8 million deal with the Vikings last March and started all 16 games, also eclipsing his sack total from the previous two seasons combined. The veteran defensive tackle played well and will hope his 2018 season garners some longer-term contract offers in free agency. Analysis: Richardson was limited in practice each day this week but hasn't missed a game all year and doesn't intend for that to start in Week 15. He'll presumably line up again as a starting defensive tackle alongside Linval Joseph. Analysis: Richardson was a limited participant at practice this week to earn the questionable tag, but he appears on track to play Sunday. Tom Johnson and Jaleel Johnson would see increased workloads at defensive tackle should Richardson be inactive Sunday. Analysis: After six games without a sack, RIchardson has 2.5 sacks in his last three games. 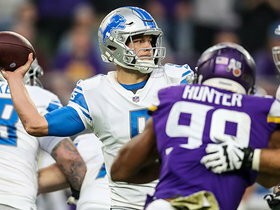 He's been getting consistent pressure on the quarterback with five QB hits and 17 QB hurries over his last nine games, according to Pro Football Focus, so he should be able to have more luck with sacks the final five games of the season. Richardson recorded three tackles (one solo) and 0.5 sacks across 48 defensive snaps in Sunday's win over the Lions. 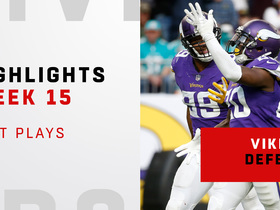 Analysis: The Vikings set a franchise record with 10 sacks on the day. 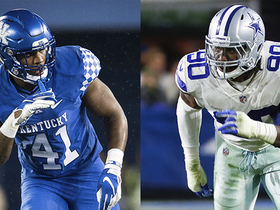 Richardson now has one sack on the season, which ties season totals from each of the past two seasons. The big run stuffer will now get a chance to rest up as the Vikings enter their bye week. 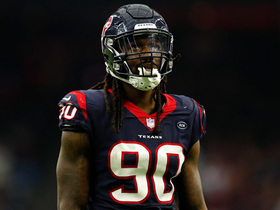 Richardson had six total tackles, 0.5 sacks and three QB hits in Sunday's win over the 49ers. 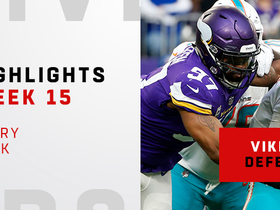 Analysis: Richardson had an impressive debut with the Vikings, providing a strong interior pass rush that included five QB hurries (according to Pro Football Focus). Opposing offensive lines are going to have a hard time combating Richardson while also accounting for Minnesota's strong perimeter pass rushers. 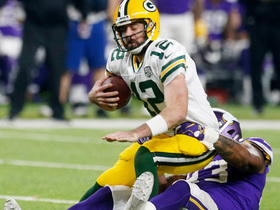 Richardson is signing a one-year contract with the Vikings, Adam Schefter of ESPN reports. Richardson will visit the Vikings on Thursday, Ben Goessling of the Minneapolis Star Tribune reports. Richardson is unlikely to receive the Seahawks' franchise tag, Marc Sessler of NFL.com reports. Analysis: Richardson was traded to Seattle just before Week 1, registering 44 tackles (27 solo), a sack, a forced fumble and an interception in 15 games. The Seahawks and Richardson both seem hopeful a long-term agreement will come to fruition in the near future, instead of opting for the roughly $14 million franchise tag. Richardson had 44 tackles (27 solo), a sack, a forced fumble and an interception in 15 games with the Seahawks in 2017. Analysis: Richardson was traded from the Jets to the Seahawks prior to Week 1 and accrued a career-low sack total in the final year of his rookie contract. The 27-year-old will enter free agency in 2018 and is likely to be one of the most attractive options on the market at defensive tackle. Richardson registered six tackles (four solo) and a sack in Monday's loss to the Falcons. Analysis: It was one of Richardson's best performances on the year as he registered a season high in tackles and added his first sack of the year. Through nine games this season he has 23 tackles (14 solo), one sack, one interception and one pass defensed. 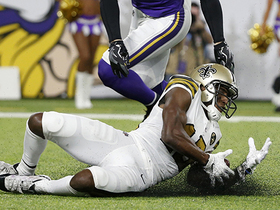 Richardson recovered a fumble and had two tackles (both solo) in Thursday's win over the Cardinals. Analysis: Richardson played 41 of 80 defensive snaps, and has recorded more than two tackles in a game on two occasions this season. The 26-year-old has yet to record a sack and hasn't shown significant IDP value, but still provides stability to the Seahawks' injury-plagued defensive line. The Seahawks have listed Richardson (oblique) as active for Thursday's clash against the Cardinals. Analysis: Richardson was on the injury report last week before ultimately being ruled out prior to Sunday's loss to the Redskins. Given the short week, it looks like the Seahawks were just giving him some extra time to recover. Barring any setbacks, look for him to take on his usual workload at defensive tackle. Richardson (oblique) was a full go at Tuesday's walk-through, John Doyle of the Seahawks' official website reports. Analysis: Richardson was on the injury report prior to Week 9, and was ultimately held out. However, he practiced in limited fashion Monday, and returned to full participation Tuesday, which indicates he is on track to return Thursday barring any setbacks. Richardson (oblique) is listed as inactive for Sunday's game against the Redskins. Analysis: Richardson will miss his first game of the season, and it's unclear what his timeline for return is. However, the Seahawks face a quick turnaround with a Thursday night game approaching, so that adds extra pressure to Richardson's recovery. In his place, rookie Nazair Jones will make his first career start Sunday. 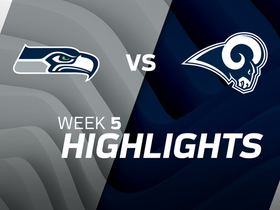 Richardson, who is dealing with an oblique injury, practiced fully Friday and is listed as questionable for Sunday's game against the Redskins, John Boyle of the Seahawks' official site reports. Analysis: Friday's practice session must not have been too strenuous, as despite Richardson's full participation, Seahawks head coach Pete Carroll said the defensive tackle's status would come down to a game-time decision, according to Liz Matthews of USA Today. If Richardson checks out fine in pregame warmups, however, he should be cleared to take on his usual load of snaps.